WeatherFlow partnerships with various utilities in the southeast U.S. have been major drivers in the development of the WeatherFlow Hurricane Mesonet. 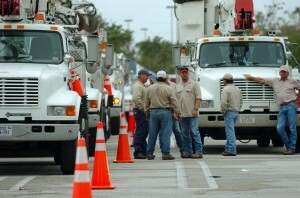 Due to past problems with hurricane-based outages and a perceived increase in future risk, in 2006 the Florida Public Service Commission directed investor-owned utilities to establish a plan for increasing collaborative research on mitigating hurricane impacts on the electric utility infrastructure, including data gathering and analysis of hurricane winds in Florida. WeatherFlow’s Hurricane Network provides a superb, cost-effective resource for these and related efforts, allowing utilities from Florida and other states to obtain valuable data for a fraction of the investment required for a dedicated project. Moreover, collaboration with WeatherFlow and its partners provides access to a greatly improved body of knowledge, allowing them to determine the most efficient and cost-effective means to strengthen their infrastructure.